 (from £239) – Dermal skin fillers are known by various brand names (e.g. Restylane is made by Q-Med from Sweden and Juvederm is made by Allergan) depending on the manufacturer. There are a few leading brands which have got the most clinical data supporting their efficacy, and they have all shown to be non-allergenic and integrate into skin easily and without causing any reactions. They consist of synthesised non-animal hyaluronic acid. This is a natural component in skin collagen (the part of the skin that gives it bounce). So over time, usually 6-12 months, the filler material is slowly absorbed back into the skin tissue. Dermal skin fillers are used in the nasolabial area (laughter lines) and to reduce the appearance of moderate to severe facial lines (wrinkles or creases). Fillers are most often used in the lips to give them a fuller and plumper appearance. They can also be injected into the skin at various depths to fill out fine and moderate skin creases. (from £269) – Lip fillers are also known by various brand names (e.g. Restylane Lipp made by Q-Med Sweden, Radiesse made by Bioform Medical). Lip plumping can be done using permanent or non-permanent fillers. The difference between the lip fillers and the skin fillers is the number of cross-linked molecules per ml. In lip fillers, the number of molecules is 2-3 times higher allowing a more fluid look, which prevents lumps and uneven points.